UNLV Medicine provides advanced diagnosis, treatment, and follow-up care for children with surgical needs. When needed our pediatric surgical specialists can provide robotic microsurgery solutions for children ranging from premature infants with congenital birth defects to adolescent trauma victims. Always working to provide surgical solutions that are minimally invasive so kids can get back to being, kids. 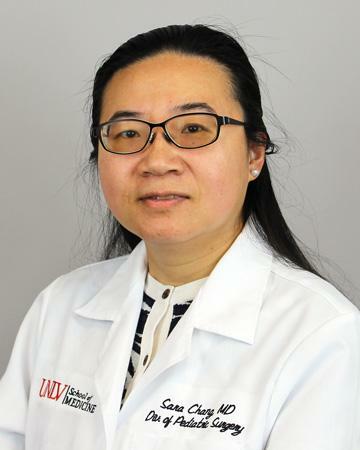 Dr. Chang, an assistant professor of pediatric surgery at UNLV School of Medicine, is a board-certified general and pediatric surgeon. Her areas of special interest include surgical disease of the newborn gastrointestinal tract, anorectal malformations, pediatric surgical oncology, minimally invasive surgery, and surgery for inflammatory bowel disease. 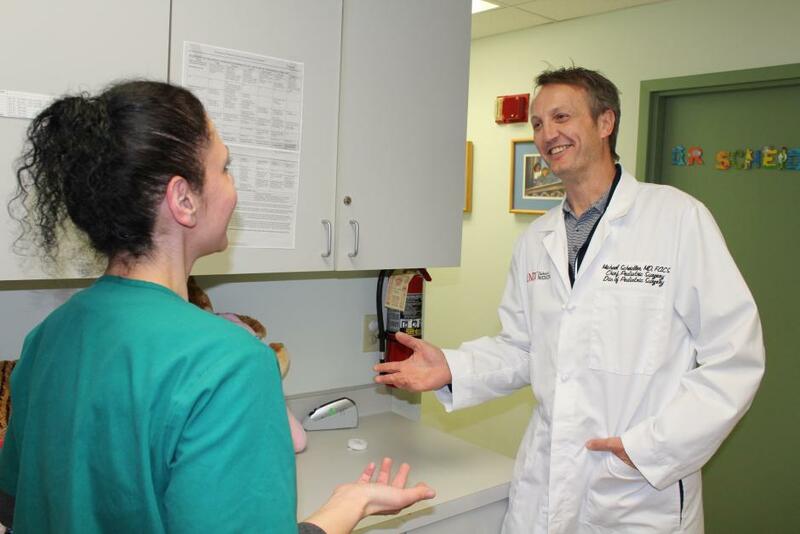 Dr. Michael Daubs, professor and chairman of the Department of Surgery at the UNLV School of Medicine, treats disorders of the neck and back including fractures, herniated discs, stenosis, spondylolisthesis, scoliosis and other complex spinal curvatures. He specializes in surgery of the spine in both children and adults. Dr. Stepanie Jones, an assistant professor of pediatric surgery at the UNLV School of Medicine, is a board-certified general and pediatric surgeon. She specializes in the surgical care of infants and children. Dr. Jones completed her general surgery residency at the University of Massachusetts and her pediatric surgery fellowship at the University of Colorado. She completed additional training in surgical oncology and immunotherapy at the National Cancer Institute in Bethesda, Maryland. 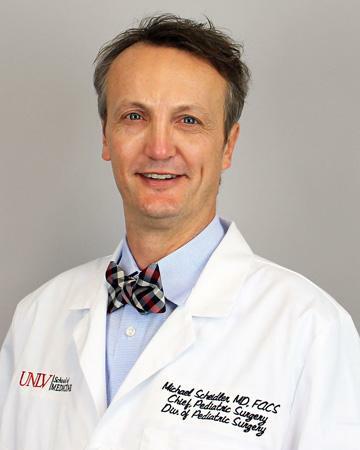 Dr. Michael Scheidler, an associate professor in the UNLV School of Medicine Department of Surgery, is chief of the Division of Pediatric Surgery. Board certified in general and pediatric surgery. Dr. Scheidler’s clinical interests include neonatal surgery, thoracic surgery, pediatric bariatric surgery, pediatric surgical oncology, and pediatric laparoscopy. A member of the American College of Surgeons and American Pediatric Surgical Association, Dr. Scheidler attended University of Pittsburgh and graduated from the Temple University School of Medicine. The story of how Dr. Michael G. Scheidler, the son of a mailman and the youngest of eight children, became one of the nation’s top pediatric surgeons is one of perseverance. Though the chief of pediatric surgery at the UNLV School of Medicine couldn’t see himself becoming anything other than a physician, that vision wasn’t always shared by educators.